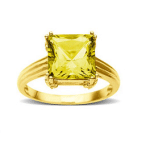 Can Yellow Sapphire stone and emerald stone be worn together? Sometimes out of curiosity people want to know that whether they wear yellow sapphire and emerald stone together in a ring, necklace or any other form of jewelry. 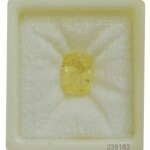 Since yellow sapphire and emerald both are precious stones and included in the group of nine astrological stones popularly regarded as “Navratanas”. 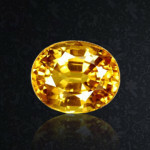 Thus, people assume that wearing both precious gemstones together will derive immense positive results in their life. However, before wearing these two significant stones together one must consider the fact whether these both stones are compatible with each other or not. The reason why compatibility is essential due to the fact that both emerald and yellow sapphire gemstone relates to substantial planets Mercury and Jupiter; both of these planets have potential to constitute a significant impact over the lives of its wearer. Thus, it becomes essential to seek the advice of an astrologer before wearing yellow sapphire and emerald stone together. Nonetheless, if you are not aware of whether these both stones can be worn or not together, then reading the following article will let you know the answer to your question. Jupiter and Mercury are regarded as the beneficial planet; however, they can’t be adorned together because they are malefic in nature to each other. Hence, wearing them together will instead of bringing any positive results to invite trouble in your life. 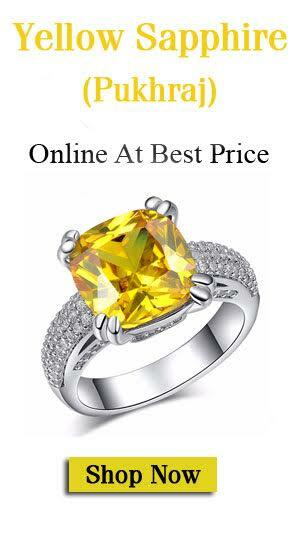 Yellow sapphire and emerald do not form a good combination in the horoscope because when yellow sapphire lord Jupiter becomes functional benefits in horoscope then emerald stone lord mercury becomes functional malefic. Similarly. When mercury becomes functional benefits, then Jupiter enacts as functional malefic. Jupiter demands the unlimited authority and obedience. It teaches the traditional knowledge which needs to be believed or followed without any debate or confusion. On the other hand, Mercury encourages curiosity and demand logical answers to various questions. Hence, it proves that both planets are not compatible with each other. According to astrological believes Mercury is the illegitimate son of the Moon and Tara the wife of Jupiter. Hence, Jupiter does not share affection with Mercury. Jupiter is acknowledged to represent belief; on the other hand, mercury represents the logic. Both are at loggerhead on their ideologies hence not compatible with each other. However, the decision of wearing emerald and yellow sapphire together totally depends upon the existence of these two planets in the horoscope of a person. It could also be possible that being resided in certain houses they derive positive results in the life of its wearer. 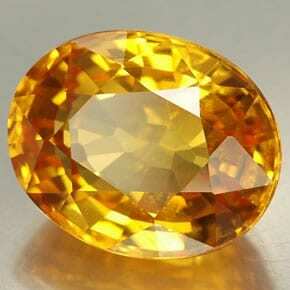 Nevertheless, most of the times wearing these both stones together does not bring auspicious results. 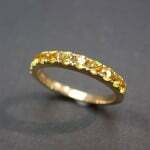 Does Yellow Sapphire Gemstone Really Works?